This shop is the product of one woman’s dream to forever be surrounded by shiny things. 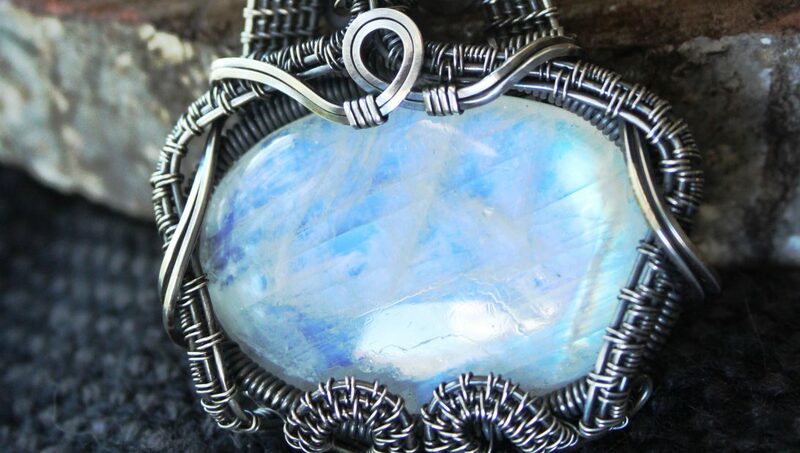 Lapidify is my effort to celebrate natural forms by using flowing woven wire to showcase the natural beauty in stones, bones, and found objects. Many of the cabochons and polished stones featured in my jewelry were shaped and polished by me. Some I’ve even pulled out of the ground myself. I occasionally do custom work, and I’m always honored when people bring me stones with sentimental value and ask me to create pieces around them. If you would like to contact me about doing custom work for you, click here, or contact me through the Lapidify Facebook page! My philosophy? There are no imperfections, only opportunities. You only need to change your perspective.